Are you a smoothie lover? If yes, you must be congratulated because this is a smart choice when you think about all the benefits and the dose of health that the smoothies come with. Drinking a smoothie every day is a great supplement for eating raw or cooked fruit and vegetables. It is recommended to have lots of green veggies in one day and sometimes it might get hard to consume all of them because if you are a busy person and always on the run, you probably do not have the necessary time to do it. With a blender, you can have the recommended daily dose of vitamins and nutrients, all in one cup. Drinking a smoothie in the morning will provide enough energy for you for the whole day and will make you feel ready to do active activities, will make your memory skills improve and will make you have a more clear mind. A blender can prepare more drinks, not only smoothies. You can also make yourself different types of shakes and milkshakes, icy drinks, purees and much more. 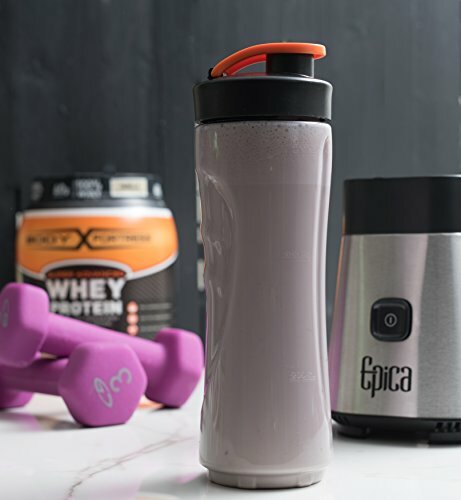 With the Epica Blender with Take-Along Bottle, you can have the perfect drink anytime and you can also take it with you in the take-along bottle that it comes with. This blender has many interesting features that will please anyone who loves the blending benefits and trying out different recipes. You can prepare smoothies, purees, icy drinks, food for your baby, sauces and much more. Thanks to the durable jar that can be used as a take-along bottle, you can travel with your drink anywhere. The blender is really easy to use, you only have to press a button and clean it afterward under a rinse of water or into the dishwasher because the material is resistant enough for that. The powerful motor and the blades will provide you with any drink that you want and will allow you to even add ice to the drinks. If you are interested in other options, there is a similar appliance to this one from Epica. 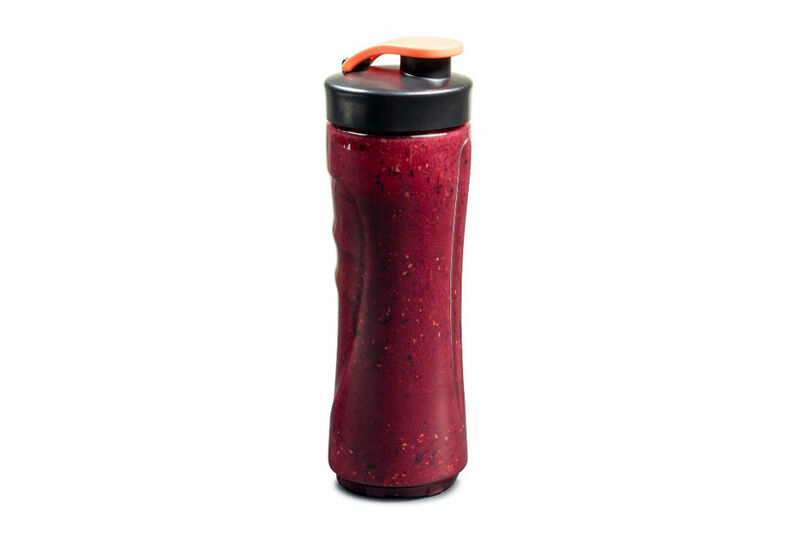 It is the Gourmia BlendMate Blender that comes with a travel sports bottle. This blender is featured with a dual action blade system and the power of the motor is good enough for preparing anything you like. The blender also comes with a recipe book that you can browse and learn new recipes from. The options regarding the colors are purple with white and green with white. With its dimensions (5.2 x 5.2 x 14.5 inches) it is really easy to place it anywhere in your kitchen and it is easy to store, too, if you do not like it out on display. If the pros and the cons are being studied, it is clearly that the pros outcome the cons and this blender is a great option that you can take into consideration when you are searching for your future blender. You can use the Epica Blender with Take-Along Bottle in so many different ways due to its versatility and you can experiment recipes of all kind. You can easily blend a healthy smoothie in the morning, simply put the lid on the jar, transform it into a take-along bottle and you are good to go and start the day with vitamins and nutrients that bring you energy.